My name is Chris Mustakas (aka Musty) and I’m the new Musical Editor/Curator here at Refined Geekery. I’m excited to join some old friends of mine as we journey into lots of different genres and all things cool. A little about me; music has always been a part of my life; for 34 years I’ve experienced all sorts of music – live and on album, cassette, CD, mini-disc, MP3 and I’ve made my fair share of mixed CDs. Speaking of mixed tapes, does anyone remember recording songs directly off the radio? I do! I’ve been to over 500 concerts, seen hundreds of bands and I love experiencing a concert. I may get yelled at but I’ve seen Dave Matthews Band 25 times and there is something about a live show that just makes you forget about your troubles, your worries, your life, for those two plus hours, nothing else matters aside from the connection you have with the band on stage. I don’t think I am going out on a limb here when I say that music has a way of touching people in a way that creates a feeling of belonging. We listen to music and we realize that other people experience similar waves of emotion, from sadness to anger to happiness to hopefulness. Suddenly we are not as alone as we thought we were and we can (hopefully) learn that these emotions will pass and one day things will be back to (relatively speaking) normal terms. 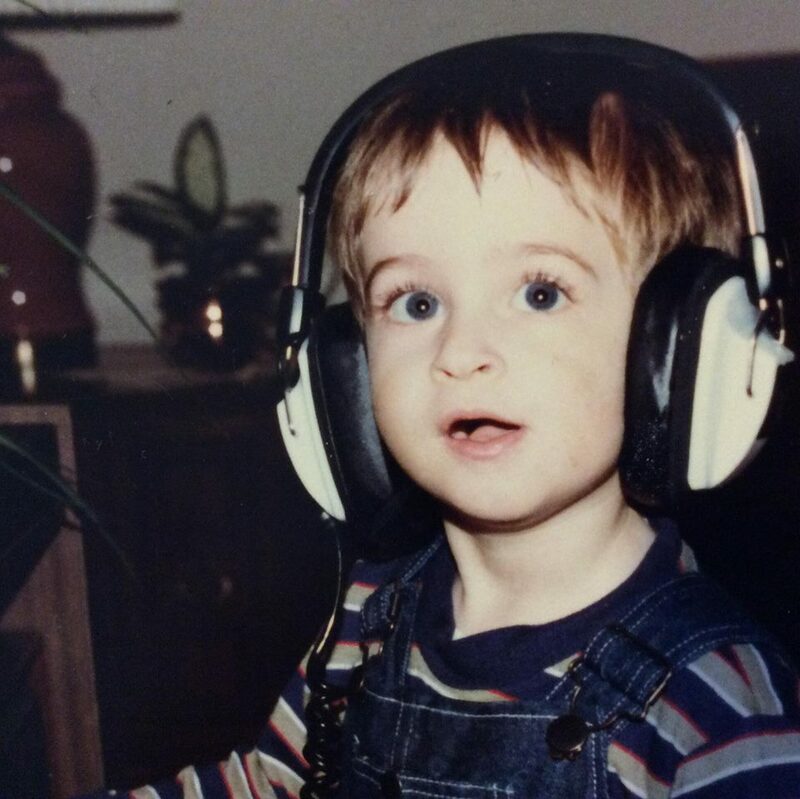 Sorry if this article will be a bit personal, but I’d like to explain how music has connected me in my life. You see, my wife and I started dating and it went from zero to sixty rather quick. I say that because neither of us had been dating that much prior to meeting, and for my wife, if a relationship lasted longer than 3 dates then something was not right. So within the first week, we got together and went on dates probably every night, at least every night I didn’t have class (I was doing my Masters at the time, she was graduated). After the sixth date, and rather abruptly I’ll add, she said that we should just be friends. Shocked, I said I understood and that it was probably best if we still talked, but took a few days off to see what was going on. Within a few hours she messaged me to say she thought she made a mistake; I told her we should still hold the course and speak in a few days. Well, do you think I kept my own word? Nope. I proceeded to make her a mix CD (not a mix tape, this was the 2000’s afterall) and it included music that made me happy. I’d be damned if I remembered all of the songs 8 years later, but the music was an opportunity to explain how I felt about her, without really explaining how I felt about her; you understand? Good. I made the CD and drove it to her house; it was late and I left it on the mirror on her driver side. The next morning, on her way to work she found the CD and proceeded to play it. Apparently that did it, and she knew I was the one. Fast forward a few years to our wedding. As a wedding favour we gave out mixed CDS entitled ‘Where I end and where we begin.’ These CDs contained all of our collective favourite songs, songs we used in the wedding and songs that had a meaning to us. Fast forward a few more years. Our marriage has gone through some ups and downs, and right now we are in our lowest point. Two kids later, the relationship we once had is different; strained at times, rewarding at times, loving at times and we hate each other at other times. Sound familiar? I’ve recently made my wife another CD that basically explains (again, without explaining) where I am coming from. I haven’t given it to her yet, but I plan to. As an aside, I was surprised how difficult it is to find blank CDs these days, as well as blank CD cases! Anyway, the CD is going to be a double disc, like Smashing Pumpkins’ ‘Melancholy and the Infinite Sadness’ back when I was in high school. The music on this compilation is a combination of songs that relate to my current experience; songs of longing for a relationship, songs of anger, songs of romance, just songs in general that I like. As you can see, Vance Joy appears on 10% of the songs; I cant stop listening to his new album ‘Dream Your Life Away’. It’s a great combination of catchy songs, and I didnt even include the chart topping ‘Riptide’. Vance Joy must have got some great exposure opening for Taylor Swift on parts of her 1989 tour. Good for him! Damien Rice is also a favourite; his moody melodies mixed with anger, hopeless love and lots of melody are the perfect addition to any mix disc. So anyway, this is an introduction to the musical edition of RG. I welcome comments, questions and if you’d like to be featured on Refined Geekery as an artist please dont hesitate to contact me! I’d love to interview you, share your talent and exposure our readers to new music. My plan is to offer album and concert reviews, artist interviews, songs and artists to listen to and anything else music-related. Throw everything in a musical blender and voila, you’ll have Musty’s Musical Jukebox!